Barnstable Police Department will ensure that staff and students have a safe and secure environment for teaching and learning, in order for students to achieve their maximum potential in education. 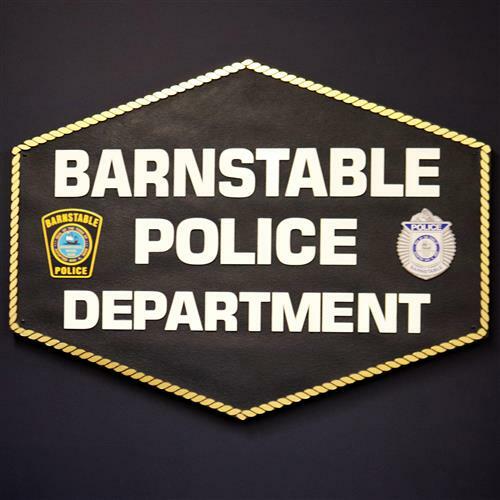 Barnstable Police Department policing efforts will focus on improving campus safety and creating safe school passages for the school community members as a whole. Barnstable Police Department is a premiere leader in school-based policing. Barnstable Police Department is a progressive and forward-thinking organization who recognizes the important role in keeping the schools safe and while establishing positive relationships throughout the school community. Impacting lives today, for a better tomorrow. The School Resource Officer Program represents a proactive strategy in school-based community policing. It is designed to bring prevention and intervention into the schools. Every School Resource Officer is a sworn police officer, certified by the Massachusetts Municipal Police Training Committee and has completed all required Basic Law Enforcement training and the NASRO Basic School Resource Officer Course. A School Resource Officer’s role is not limited to being a police officer as they are a counselor, teacher, coach, and mentor. Recognizing the diversity of our school district and unique situations within the school community, particularly involving mental health and child developmental issues, it is imperative that our School Resource Officers are trained in these specialized areas. The School Resource Officer Program is the key to enabling communities and schools to address school violence and other concerns. This program uses both prevention and intervention techniques while using law enforcement as a last resort. By being on campus, the School Resource Officer can prevent many problems from happening. When situations do arise, they can identify the problem, address what is taking place, and intervene quickly and appropriately. The School Resource Officer program relies on building and establishing relationships throughout the school community, primarily with students, staff and families.